We keep hearing a lot about strategic defaults and about how people are increasingly walking away from their homes because they see them as bad investments. Up until now, a fairly clear picture has emerged of the profile of the average strategic defaulter. Research shows that these individuals typically have better FICO credit scores, larger mortgages, and smaller amounts of credit card debt. What is less well known is how strategic defaulters are handling their finances in the wake of abandoning homes that are underwater. Specifically, what are strategic defaulters doing with all the money they save by not paying their mortgage? Some have called this money squatter’s rent. 1. Saving money for a new home. Although the brutal housing downturn has soured some people on homeownership, many people engaging in strategic defaults say they’re actually squirreling away money for their next home. 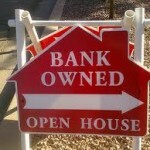 Some will buy a cheaper home before the foreclosure hits their credit reports. Others will re-enter the homeownership arena when their credit rating rebounds and the housing market stabilizes. But either way, a group of strategic defaulters are tucking away dollars for the next place they plan to purchase. For people who’ve decided that right now – and maybe forever – they’ve had it with homeownership, they’re looking to rent a place to live. And that takes cash: often first and last months’ rent plus a security deposit. So some strategic defaulters are saving their cash to rent a new residence. Additionally, some homeowners turned renters are using their cash stockpile as leverage with landlords. With the ability to pay a few months, or even as much as a year’s rent in full, savvy strategic defaulters can often make even the most skeptical landlord overlook any blemishes on the individual’s credit rating. Some strategic defaulters even negotiate discounted rents based on how much cash they’re willing to pay a landlord upfront or their willingness to sign a long-term rental contract. Other strategic defaulters are paying off all their other debts – like their auto loans or credit card bills. This fits the classic definition of a strategic defaulter. It’s some who, by all appearances, seems to have the financial wherewithal to make their mortgage payment, but who chooses not to – even as the person does manage to keep up with all their other bills. Jon Maddux, CEO of YouWalkAway.com, notes that there’s one good reason to explain why strategic defaulters often use the cash they saved during the foreclosure process to pay off revolving debt, like credit card bills. Doing so, Maddux says, can “help offset” the credit sting of foreclosure, since outstanding credit card balances account for 30% of a person’s FICO credit score. In other words, it’s certainly true that missed housing payments will drag down a person’s credit score. But it’s equally true that people can simultaneously boost their credit rating – even amid a strategic default – by knocking out credit card debt. With the money they save during a strategic default, some homeowners are moving far away – some across the country; some to another country entirely. Maddux knows one couple that moved to Belize for three years using the money they amassed during their strategic foreclosure. Not everyone is making such a drastic move, though. Gene Kessler is walking away from his home in New Ulm, MN and figures he’ll save nearly $16,000 to help offset his moving costs to Santa Fe, NM, where he plans to rent. “I’ve already talked to a few potential management companies and an individual homeowner,” he says. Some people going through a foreclosure now are using their strategic default as the impetus for a “back to basics” lifestyle, where they buy most things with cash and eschew use (or at least overuse) of credit. These people are simply buckling down and preparing for whatever might lie ahead. They know their credit rating is going to take a temporary hit. They know that it might be more difficult for them to obtain credit – at least in the near term. So they’re preparing for life on a cash basis by building a sizeable nest egg now. High medical bills are the root cause of a lot of financial problems in America, including big credit card debts and bankruptcies. In fact, 50% of all bankruptcies in the U.S. are tied to medical bills. Consequently, some people are taking the money that they saved during a strategic default and eliminating out those sky‑high medical bills in a bid to stave off bankruptcy. Reports about banks and collection agents going after homeowners for “deficiency judgments” have riled many people who recently did strategic defaults or were considering doing so. In some states, if a bank has lost money on a home after a foreclosure auction, the bank has the legal right to try to recoup its losses (i.e. the unpaid mortgage balance) from the prior homeowner. 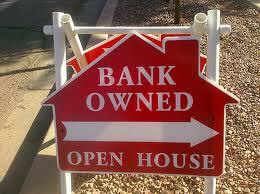 Although extremely rare, such actions do occur – in far less than one-half of 1% of the foreclosure cases nationwide. Still, some cautious strategic defaulters are stashing away cash to keep on hand in the event that they get socked with a deficiency judgment, according to Maddux of YouWalkAway.com. “But frankly, you have a greater chance of getting hit by a car while walking across the street than you do of being hit with a deficiency judgment,” Maddux adds. What do you think about strategic defaulters? Do you agree or disagree with their decisions to walk away from their properties? And if you’ve engaged in a strategic default, tell me about it at AskTheMoneyCoach.com.